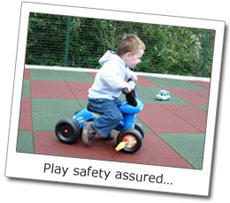 Our PlayTek products are carefully constructed rubber playground safety mats for use in children’s play areas. 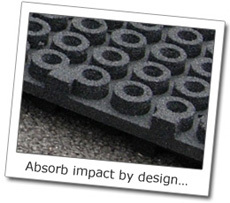 Standard playground surfaces such as concrete do not offer much in the way of child protection. In a children’s play area there can be many hazards that can cause harm, such as falling from play apparatus. Therefore, child safety is of paramount importance. Our play tiles are purposefully designed to provide cushioning to children if they fall. 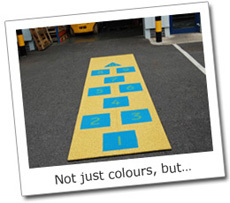 They also provide a non-slip playground surface to reduce the likelihood of slips and trips. A further advantage of our playground mats is their optimum performance in wet weather, as they remain non-slip and are porous so water can drain away quickly. 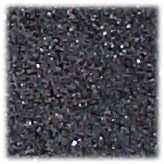 We make all of our playground surfaces in a range of thicknesses to match your requirements. Thicker tiles have greater shock absorption and are perfect to place in areas where high apparatus such as climbing frames are being used. 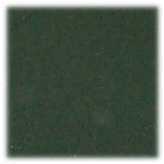 Our rubber playground tiles come in a variety of thickness's from 20mm to 90mm, ensuring we can cover any type of playground installation. To help you decide what you require, we have a 'Critical Fall Height' chart indicating the shock absorbing qualities of each tile thickness. We have made many other considerations in the construction of our playground mats and can supply tiles with ramped edges and corners, to avoid trip hazards, and making the play surface accessible to wheel chairs. We believe that play and fun should be open to all. Our PlayTek design incorporates a few special features to ensure maximum usability and maximum protection. We use a large hollow cone foot and a moulded base to improve the critical fall height and offer greater child safety by offering greater impact absorption. 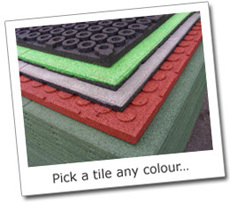 We supply our play tiles in a whole host of colours and designs. We can even produce custom designs that are tailored to your needs, so please contact us if you’d like to discuss your requirements. You can view a selection of our designs on the right hand side of this page and you can visit our gallery page for examples of playground surfaces we have supplied in the past. You’re only limited by your imagination and your budget... the rest we can handle.